A spirited display from the Seasideweres saw them come up just short against opposition from a higher level. Despite having not played a competitive game since October the Exiles settled into the game quickly, Joe Kitts drawing the first save of the game after 7 minutes with a cross come shot which nearly beat the keeper at his near post, after a well worked move from a throw in down the right. Cathays fought their way back into the game but both teams struggled to test the oppositions keeper. Cathays had a great chance to score just before the half hour as a long ball over the top was pounced on by the striker, but keeper George Watkins making his Exiles debut came out and produced a fine save. Cathays took confidence from the chance and after 40 minutes the first goal came. A ball was slid through and evaded Right Back Nathan Davies’ foot, allowing the Cathays player to slot home high into the roof of the net. This started a frantic 5 minutes before half time as Cathays tried to kill the game off before the break. They thought they had scored a second goal after their striker rounded Watkins, only for Captain Nathaniel Grant to appear from nowhere to clear of the line. From the resulting corner Kitts cleared again off the line and the Exiles went into the break a goal behind. The Exiles made their first change at the break. The returning Andrew Dixon, making his first appearance of the season, replaced Kitts who had a decent 45 minutes following his recent injury problems. The Exiles started the second half strongly with Marc Dyper curling a shot narrowly over after a lovely turn with the keeper a spectator. Disaster struck in the 64th minute with the Exiles pushing for an equaliser, Cathays crossed the ball in from the left and some confusion between Centre Back Carl Thomas and Watkins led to Thomas heading the ball back towards his own goal and despite both players attempts to avert the danger, the Cathays Striker nipped in to score the crucial second. 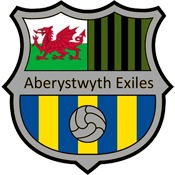 The Exiles rang the changes trying to get back into the game, Matthew Rowley and the impressive Yusuke Suzuki who impressed on debut replaced by Adrian Smith also making his competitive debut for the Exiles and Aled Jones. 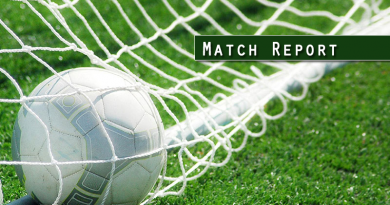 Still pushing for a way back into the game the Exiles pilled on the pressure and finally got their reward after 82 minutes when the ball broke to striker Matty Thomas 25 yards out and he smashed the shot in, giving the keeper no chance. It was a quality strike and a serious contender for goal of the season. Filled with the confidence of the goal the Exiles bombarded the Cathays defence in a desperate effort to take the tie to extra time and with the last kick of the game, the ball fell to Aled Evans 12 yards out but his first time shot flew over the bar.